From our website, members can pay their bill or access helpful account information, such as usage trends, month-to-month comparisons, history and much more. To get started, just click on the "My Account" button in the upper right-hand section of this website. After entering that information, you will be emailed a temporary password from smarthub.coop. Then you will be set to go. If you are interested in accessing this information from your smartphone, there’s an app for that! 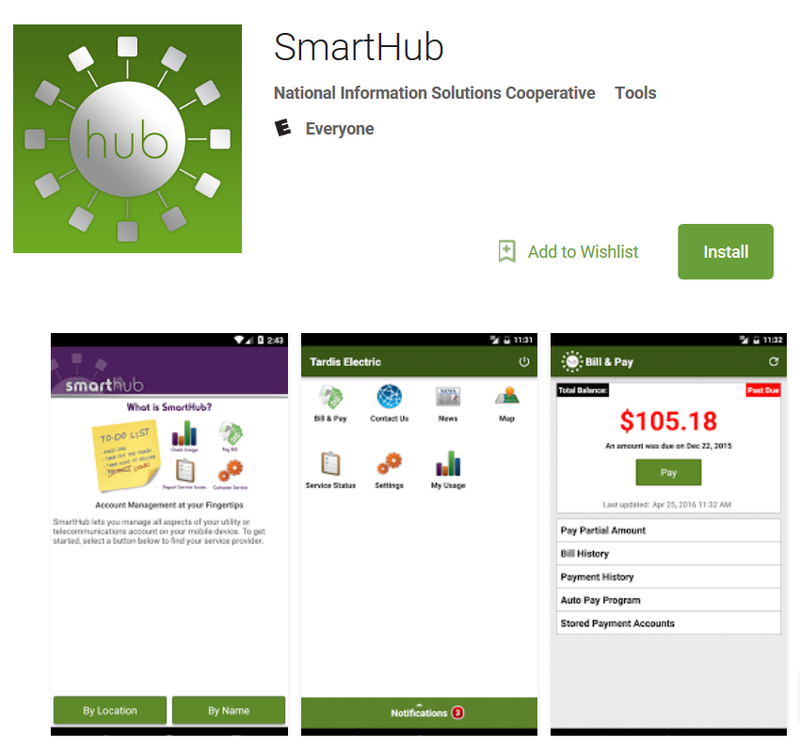 Download the free SmartHub app for your mobile device. After you have first registered through newmac.com, you can then begin using the SmartHub app to access your account information and pay your bill. Download the app for your mobile device by clicking on the link below.